Written and directed by Gillian Robespierre, Obvious Child is a smart, observant and humorous comedy drama that will make a star out of its star Jenny Slate. Donna (Slate), an aspiring stand-up comedienne, makes a habit of turning her day-to-day existence into uproarious material for her shows. But when left pregnant after a one night stand with Max (Jake Lacy), she’s forced to wake up and take control of the real obstructions in her life. Tackling controversial, honest issues with a remarkable frankness, Obvious Child is a film that’s funny to no end, but always has a deep emotional core to back it up. As much as Donna has become used to skirting through many of her experiences (her recent split, family problems, impending termination of employment), twisting and turning them so as to escape any pain they may carry, her pregnancy leaves her with nowhere left to run. The script, then, is candid, but also extremely funny, much of which is attributed to Robespierre’s ability to balance the two opposites without a hitch. It’s arguably Slate’s film, however, and she owns it, delivering humour in large, belly-aching doses, while also hitting the more heartfelt moments spot on. 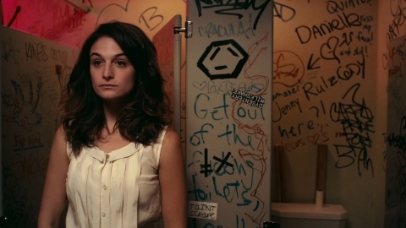 Obvious Child emerges very quickly – and remains throughout – as one of the sharpest films about the challenges of life for a 20-something.